Home Courses Big news for anyone treating runners! When our Running Repairs Online course launched this summer we were blown away by the response it had. Since then we’ve been inundated with emails, messages and requests for us to open enrolment again. So, for a short while only, you can gain immediate access to Running Repairs Online and, if you sign up today, you’ll receive an exclusive bonus package. Register HERE to get great results with your runners! We’re really proud of Running Repairs Online. We believe it’s the largest collection of online running rehab resources available! We’ve designed it to guide you in treating runners in your clinic with a strong focus on putting evidence into practice with real runners. There are 10 comprehensive modules covering assessment and treatment of key running injuries and exploring pyschosocial factors, load management, strength and conditioning and gait analysis. Plus we have an extensive collection of bonus content including a whole bonus module on running footwear as well as great resources for your clinic in our Track Pack and exclusive post-course portal to facilitate ongoing learning. 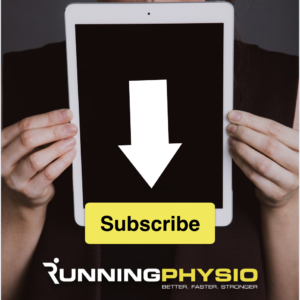 Sign up today to receive an additional bonus package, The Run Through – a step by step guide to managing running injury illustrated by case studies of real runners. In this we talk through the treatment of an amazing athlete who went from immobile in a protective boot to winning the European Championship! This exclusive bonus is only available today so make sure you register before it goes! We’ve been getting some great feedback from those who’ve already completed the course who’ve enjoyed working through it at their own pace and having videos of exercises and progressions that have real impact in clinic. If you’d like to find out more about the course see our video below, check out our enrolment page or email me your questions.